On Wednesday, August 20, CBS This Morning promoted a new ad campaign by the National Rifle Association “going after former New York City Mayor Michael Bloomberg” a major gun control advocate. Given CBS’ history of providing Bloomberg an unchallenged platform to promote his leftist agenda, it should come as no surprise that they were quick to defend the former New York City mayor from any criticism that came his way. BEN TRACY: USA Today reports the National Rifle Association is going after former New York City Mayor Michael Bloomberg. The NRA created an anti-Bloomberg ad campaign that kicks off today. Bloomberg is a vocal gun control advocate who plans to spend $50 million of his own money on the effort. 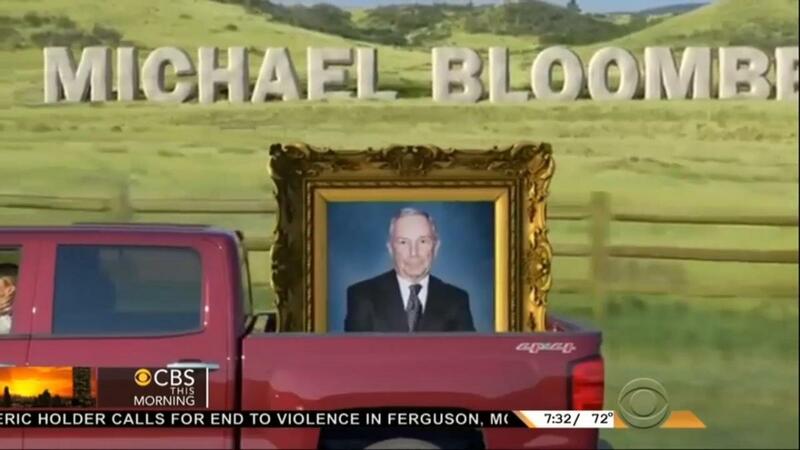 Now the NRA ads portray Bloomberg as an elitist who is out of touch with average Americans. And this one is getting personal. An NRA official called him an arrogant hypocrite who thinks knows what is best for people and their lives. VINITA NAIR: Not mincing words there. TRACY: Not mincing words at all.